The Lake St. Clair fishery—which includes fish, people and habitat—is widely regarded as one of the best in North America, and provides significant social and economic benefits. Fish such as yellow perch (the favorite food fish in the Great Lakes) and walleye represent significant protein sources. Economically, the Michigan waters of the Lake St. Clair system generated $36 million in economic activity in 2004 alone. Fishing is, for many, a lot of fun, and as a recreational fishery, it provides many physical and mental benefits to people. Moreover, a healthy fish population equals a more stable ecosystem. What are the BIG FOUR species in Lake St. Clair? Yellow perch the most sought after species on Lake St. Clair, and provides a robust open water and winter ice fishery. Half of the total fishing effort on Lake St. Clair is devoted to yellow perch, with anglers catching approximately 750,000 each year. Walleye are the target of approximately 30 percent of Lake St. Clair fishing effort, yielding a catch of some 40,000 walleye by Michigan anglers. Roughly 80 percent of the walleye caught on Lake St. Clair are kept. Smallmouth bass make up about 20 percent of Lake St. Clair’s sport fishery, with more than 100,000 caught each year in the Michigan waters of Lake St. Clair. 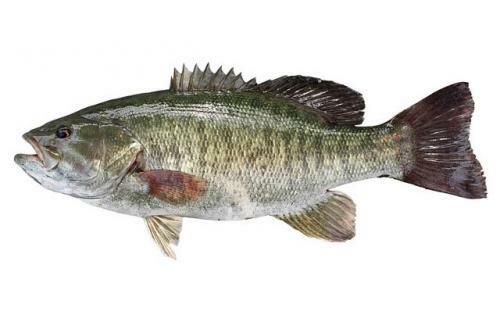 More a sport fish than a food fish, some 90 percent of the smallmouth caught are released. Smallmouth are responsible for attracting numerous out-of-state anglers and tournaments to Lake St. Clair. Can you guess which lake Bassmaster named as the best bass lake of 2013? The Lake St. Clair Muskellunge (Muskie) fishery is legendary with high catch rates and increasing numbers of large fish. Approximately 30 percent of all charter fishing trips on Lake St. Clair target muskie, and 99 percent of the fish caught are released. As if these aren’t enough, Lake St. Clair boasts a healthy Lake Sturgeon population (think largest fish in the Great Lakes) and a seasonal salmonid fishery. The Lake St. Clair fishery is very intense, experiencing more than 22 angler hours per acre, followed most closely by Lake Erie with less than 10 hours per acre. While charter boat excursions have trended downward on Lake Erie, they are the highest in 25 years on Lake St. Clair. This bounty is largely without stocking, thanks to good water quality, diverse habitat, abundant submerged aquatic vegetation, plentiful food for small fish, and sound fisheries management that protects spawning populations. How do things look for 2014? At a recent Lake St. Clair Fisheries Workshop conducted by Michigan State University Extension and Michigan Sea Grant, biologists from the Michigan DNR Lake St. Clair Fisheries Research Station stated that self-sustaining stocks of the big four will continue to provide high-quality fishing opportunities from Lake Erie to Port Huron, abundant populations of other species that add more diversity to the fishery, and a seasonal salmonid fishery that will continue to add further diversity. What’s not to like? Go fish Lake St. Clair! This article was published by Michigan State University Extension. For more information, visithttp://www.msue.msu.edu. To contact an expert in your area, visit http://expert.msue.msu.edu, or call 888-MSUE4MI (888-678-3464).